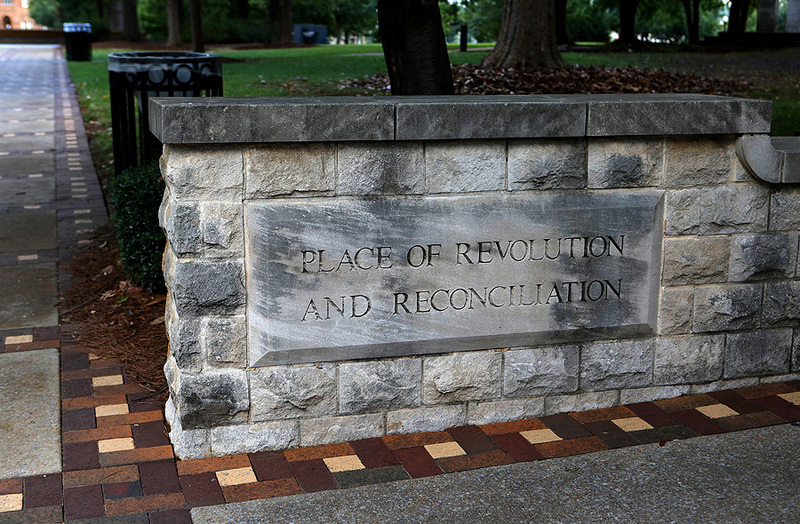 Day two in Birmingham found me heading to Kelly Ingram Civil Rights Memorial Park for another day of Alabama history. 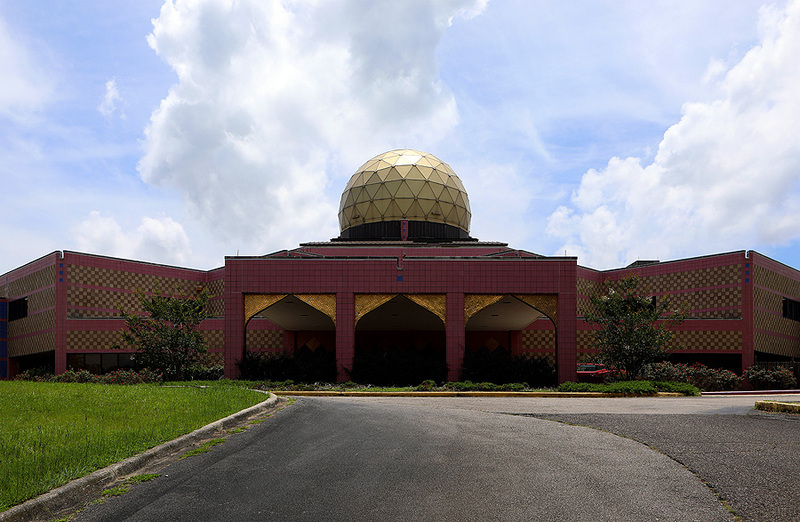 But on the way, poking through the trees was the dome of the Zamora Shrine Center, so I got off the expressway to photograph it. 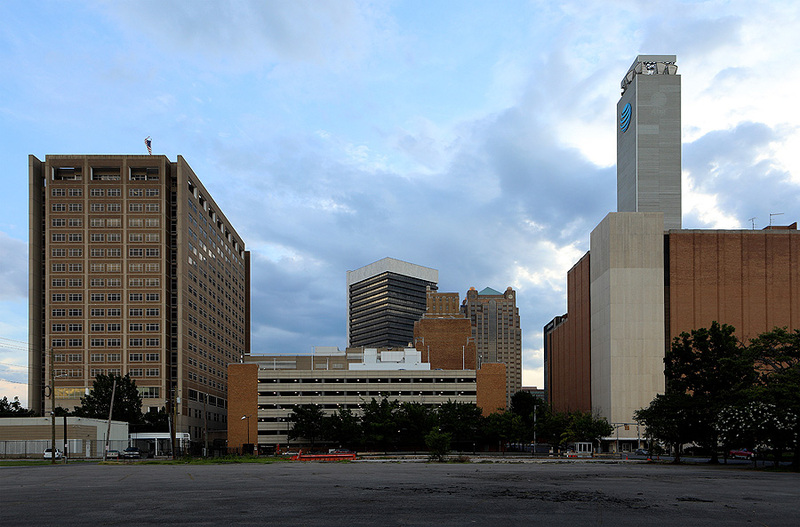 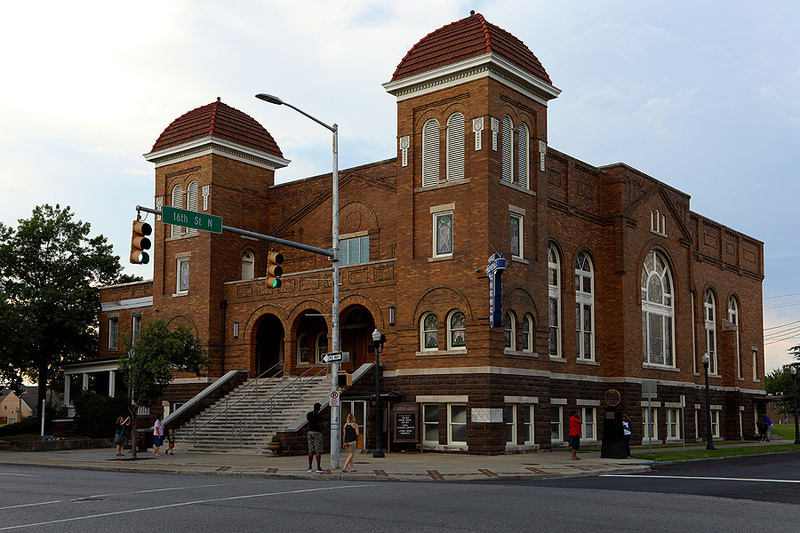 Moments later, arriving downtown on 6th Avenue I see a small gathering in front of the 16th Street Baptist Church, site of the September 15, 1963 Ku Klux Klan Church bombing where four young black girls were killed. 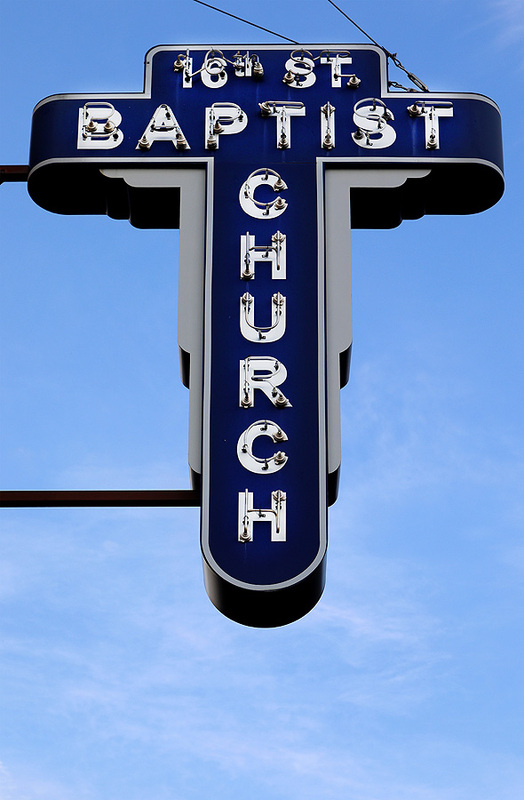 At the rear side of the Church is a marker which indicates where the bombing took place, as well as a monument on the sidewalk under the Church's marquee dedicated to the four girls. 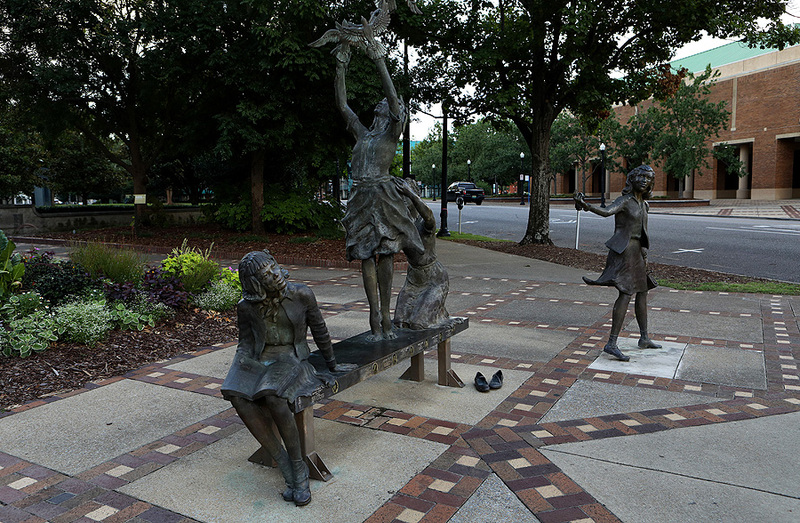 As you enter Kelly Ingram Park, you're greeted by Elizabeth MacQueen's "The Four Spirits" sculpture, which is also dedicated to the four young girls. 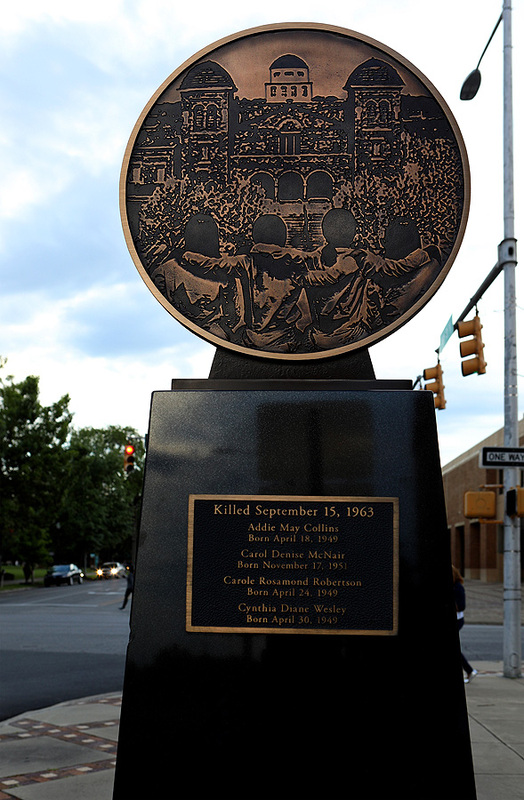 At the base of the sculpture is an inscription of the name of the sermon the four girls were to attend prior to the bombing —"A Love That Forgives". 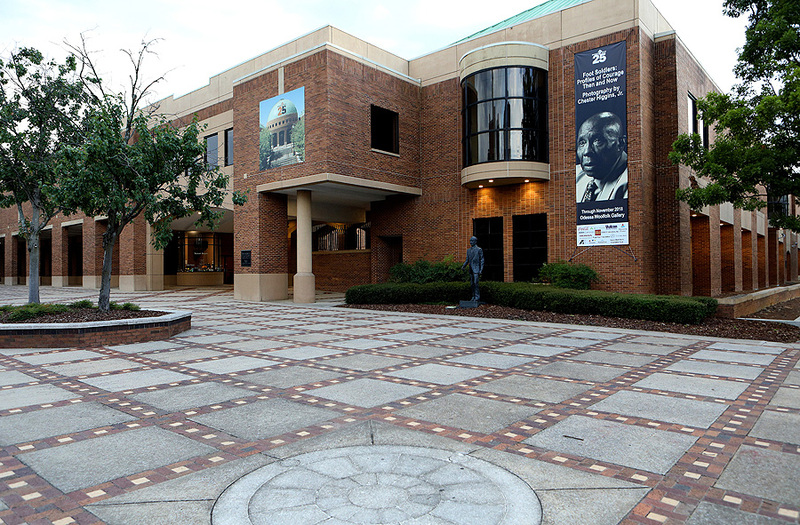 A few steps from there is Carlo Roppa's statue of the Rev. 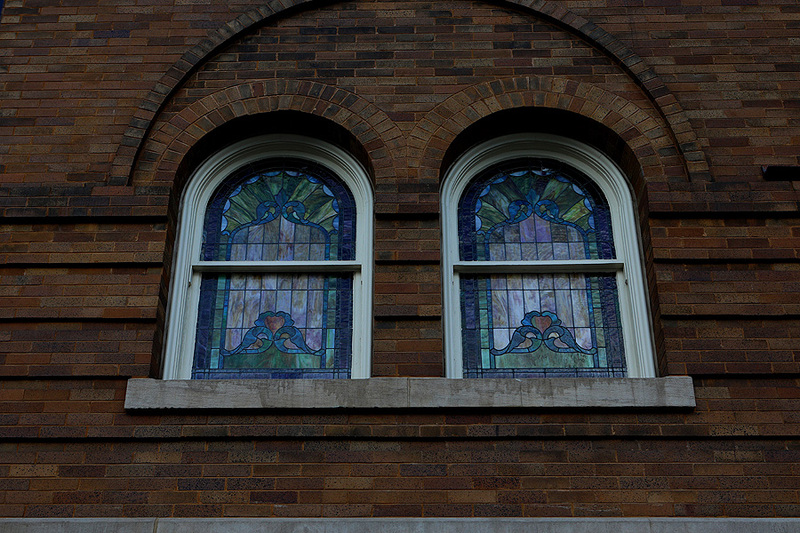 Dr. Martin Luther King, Jr. looking across the street at the church. 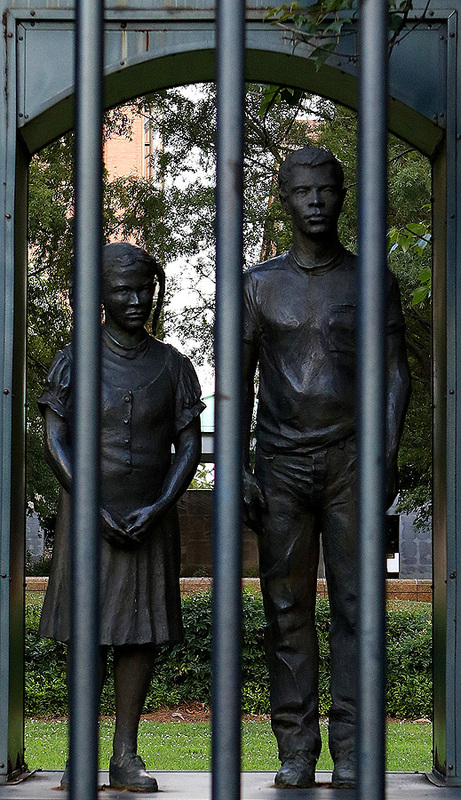 Along the "Freedom Walk" in the park you'll see James Drake's powerful "Jailed Children: Children's March" statue, depicting a young boy and girl behind bars. 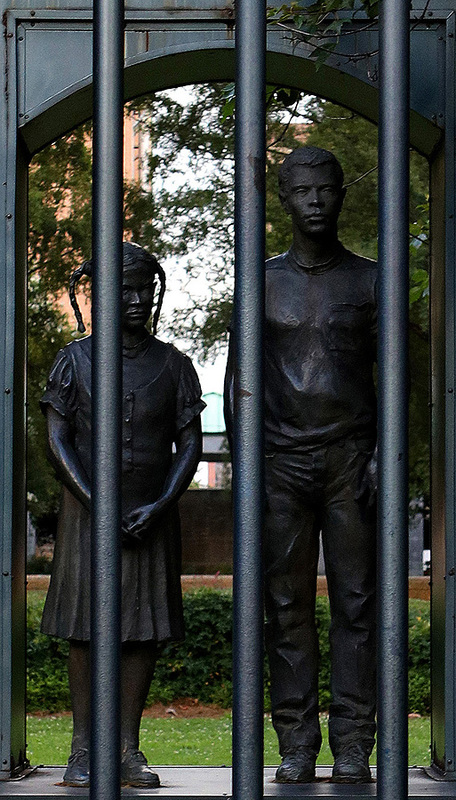 "I Ain't Afraid Of Your Jail" is inscribed on the front, lower part of the back monolith of the two-part statue. 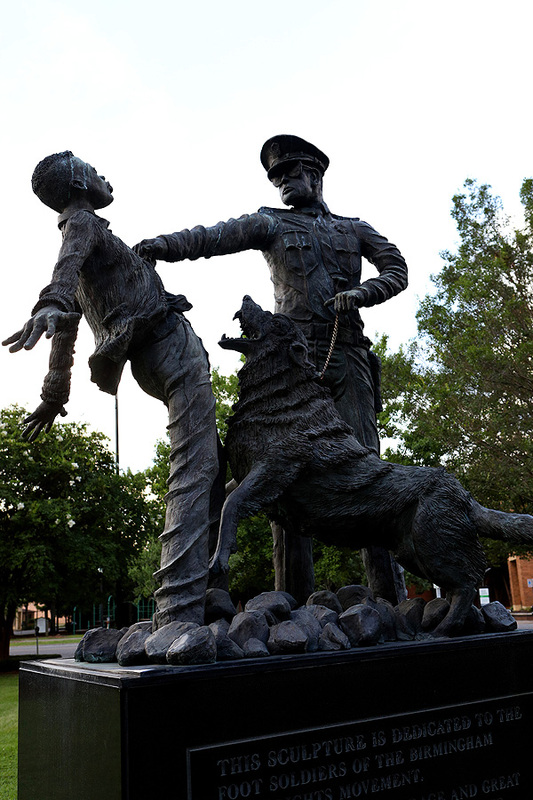 Ronald "Mac" McDowell's "The Foot Soldier" sculpture depicts a young boy being attacked by a police officer and his dog...(The original photo from where the sculpture comes from is much different from the statue). 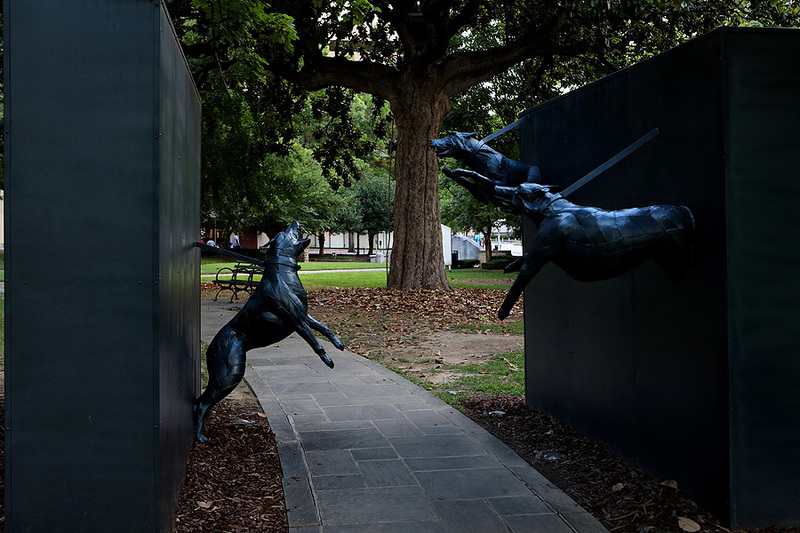 The next sculpture along the walk is James Drake's "Police Dog Attack" sculpture, which depicts police attack dogs lunging and attempting to bite you as you walk through the piece. 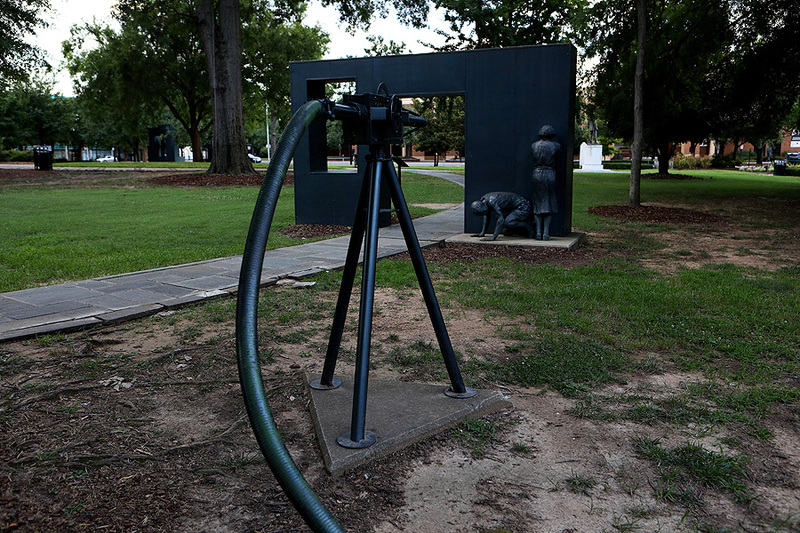 James Drake's "Fire Hosing" sculpture is next showing two people trying to brace themselves from being water hosed. 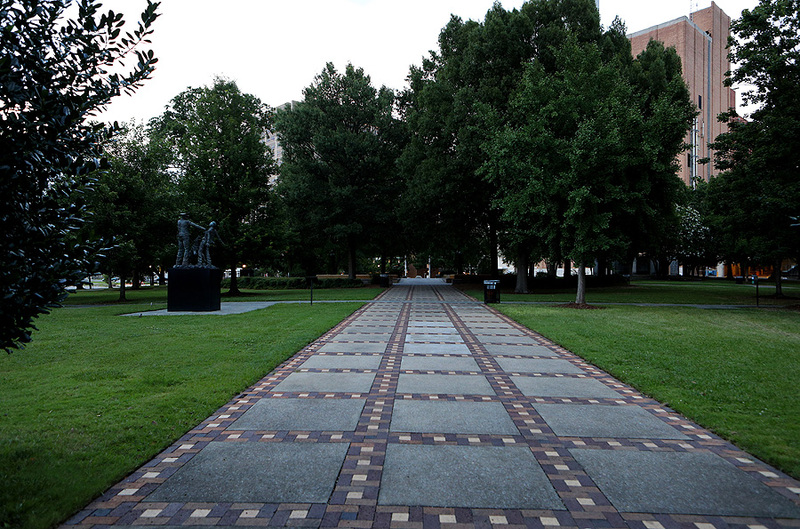 I can only imagine how one feels walking along the freedom walk, who actually lived those experiences. 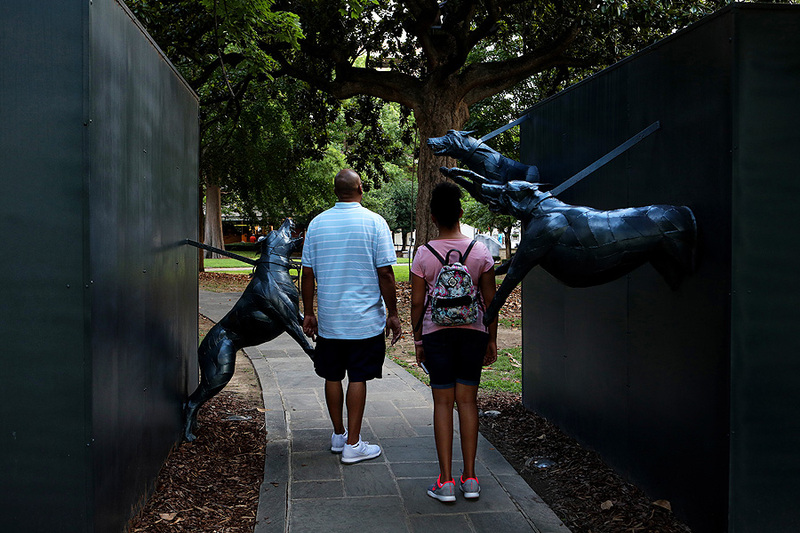 Seeing these sculptures has to bring back unsettling memories for them. 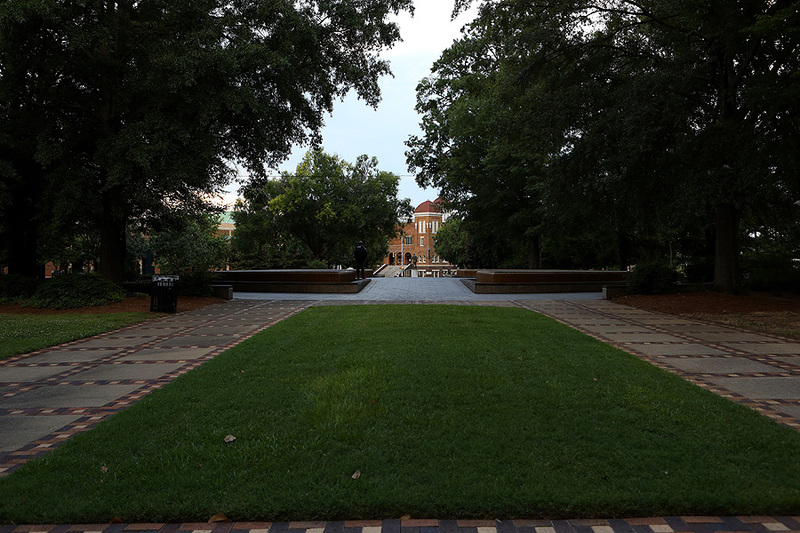 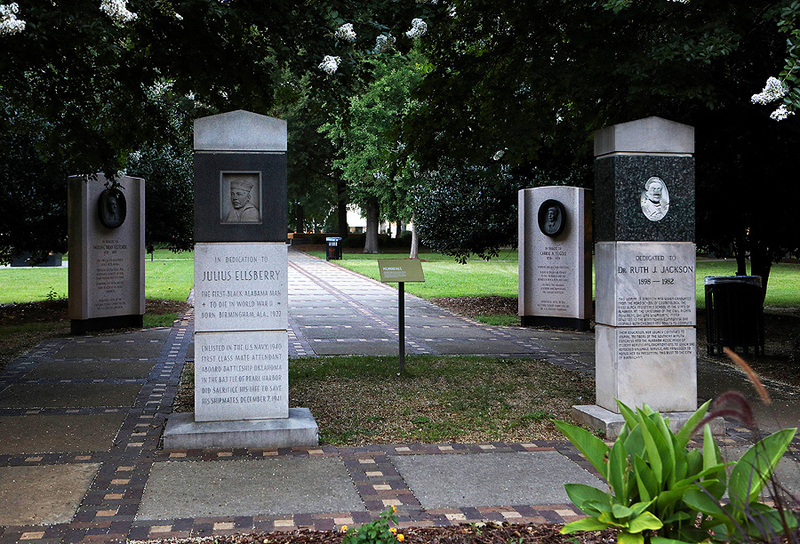 And at the far end of the park you'll see Raymond Kaskey's "The Kneeling Ministers" statue, which represents Birmingham's ministers of the Civil Rights Movement. 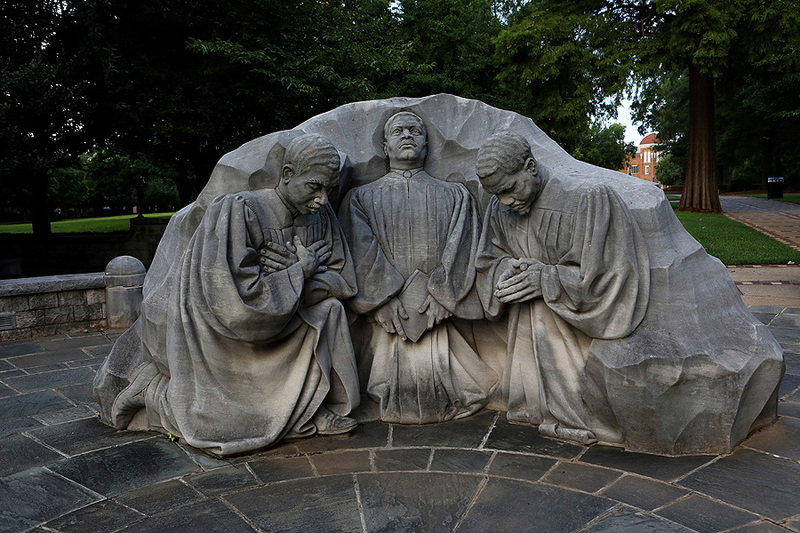 Specifically, the sculpture depicts the moment on April 7, 1963 (Palm Sunday) when three ministers, John Thomas Porter, Nelson H. Smith and A. D. King, brother of Dr. King led a group of 2,000 marchers protesting the jailing of movement leaders Dr. Martin Luther King Jr., Ralph Abernathy and Fred Shuttlesworth. 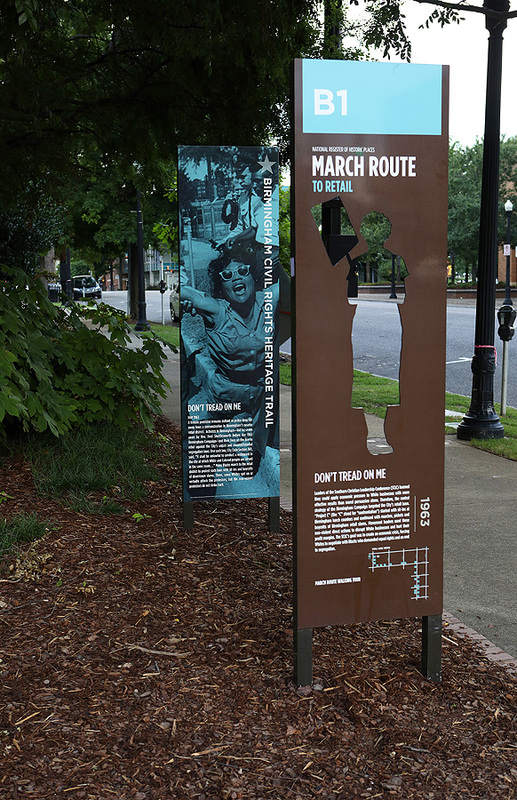 When they were confronted by Public Safety Commissioner Bull Connor and his police, the three immediately knelt to pray on the sidewalk. 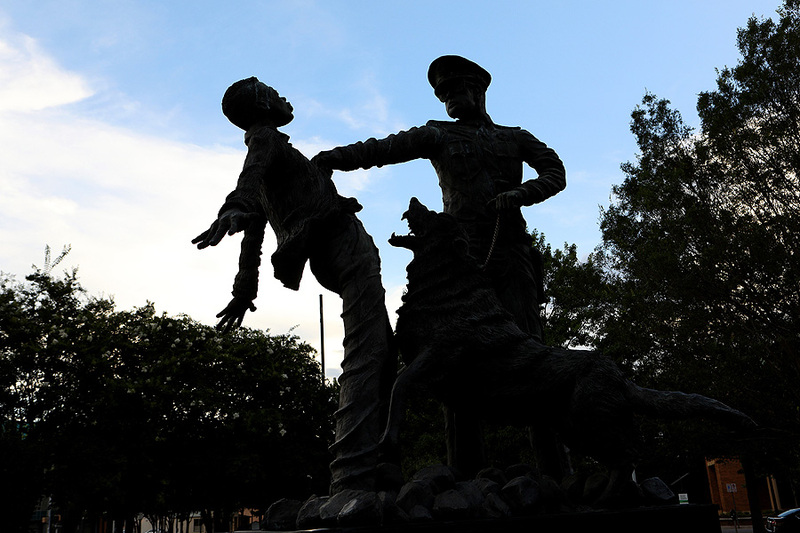 On the opposite end of this sculpture is a monument dedicated to the "unsung" heroes of Birmingham's under represented. 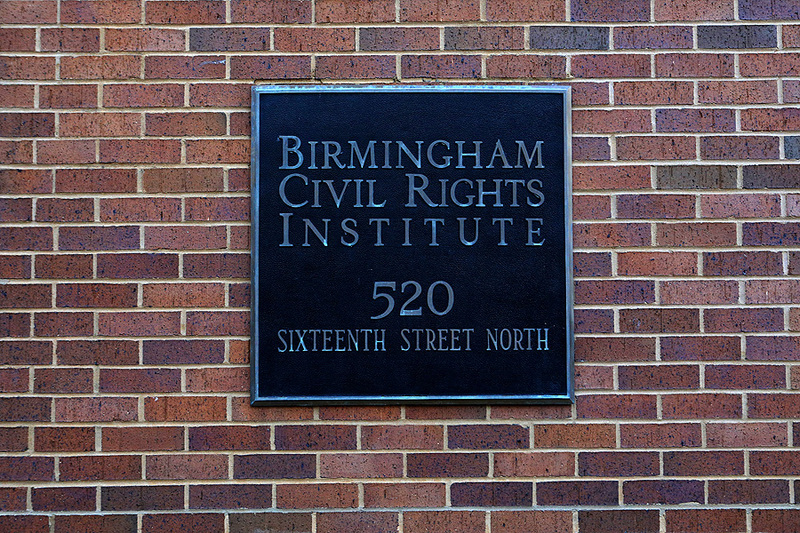 My last stop is the Birmingham Civil Rights Institute, designed by black architect J. Max Bond, Jr.. A statue of Fred L. Shuttlesworth stands out front. 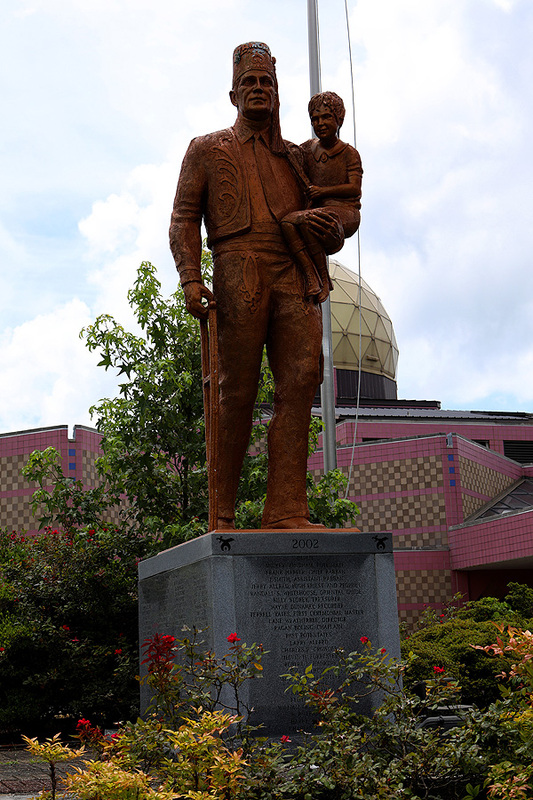 Mr. Shuttlesworth was a U.S. civil rights activist who led the fight against segregation and other forms of racism as a minister in Birmingham, Alabama. 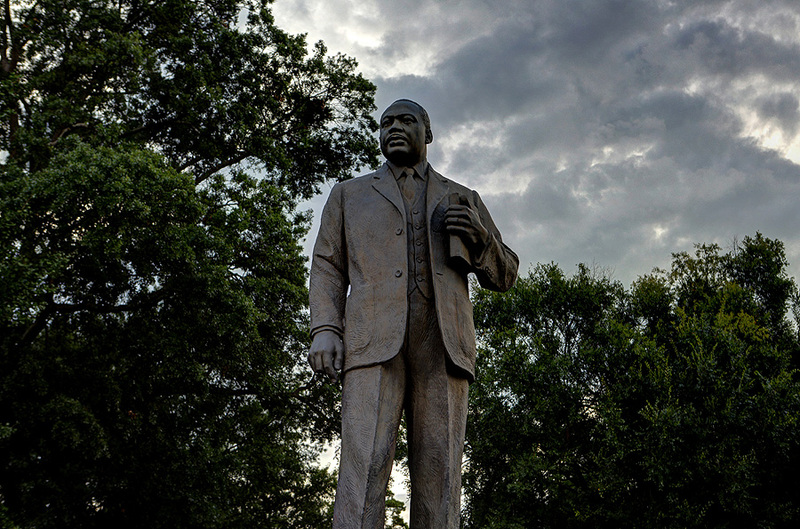 He was also a co-founder of the Southern Christian Leadership Conference.